This article was first published in issue 53 of Woodcarving Illustrated. It is possible to sharpen gouges with a flat stone, but I prefer to use a conical slip stone or gouge stone. Regardless of the stone you use, the goal is the same: to produce a wire edge on the inside of the bevel. 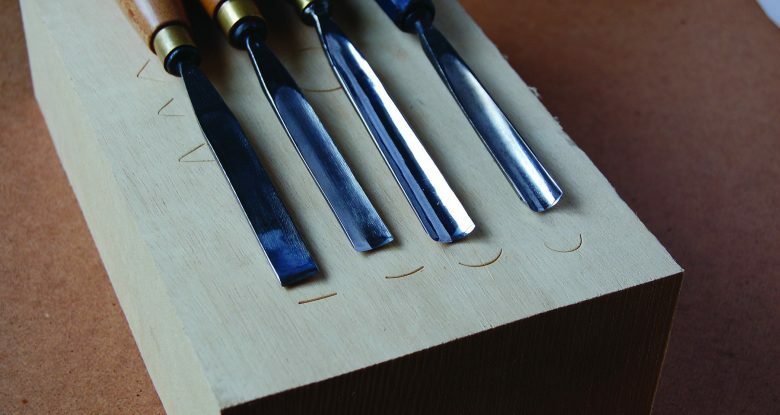 The bevel is the part of gouge that does the cutting and it is what we sharpen and keep sharp. A wire edge is a continuous burr that forms when the edge of the tool gets thinner as you sharpen. Once a gouge is sharp, you should never re-sharpen it unless you break it, chip the edge, or have to re-shape the bevel. 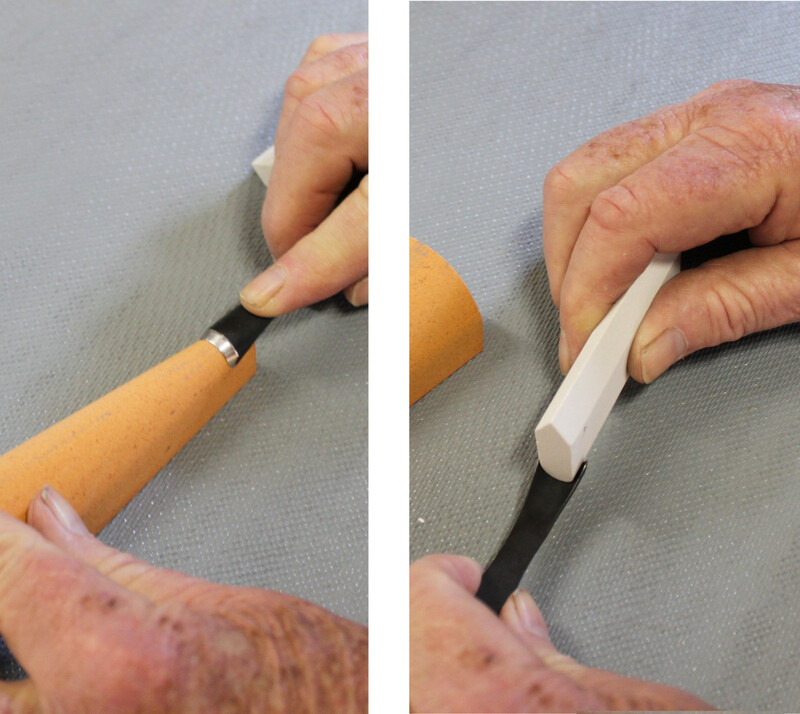 Just strop the gouge when needed to maintain a sharp cutting edge. 5. Polish the edges. 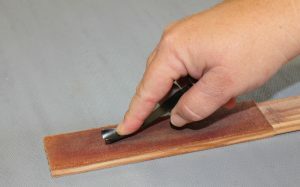 Use a leather strop charged with abrasive. 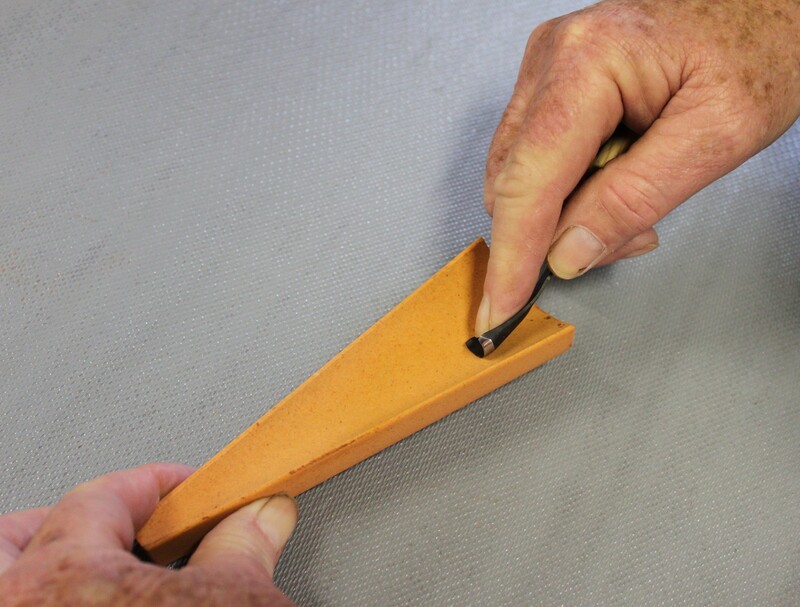 Hold the gouge against the strop with your index finger opposite the bevel. Roll the gouge from side to side with a firm even stroke. Attach a piece of leather to a dowel to polish the inside of larger gouges. 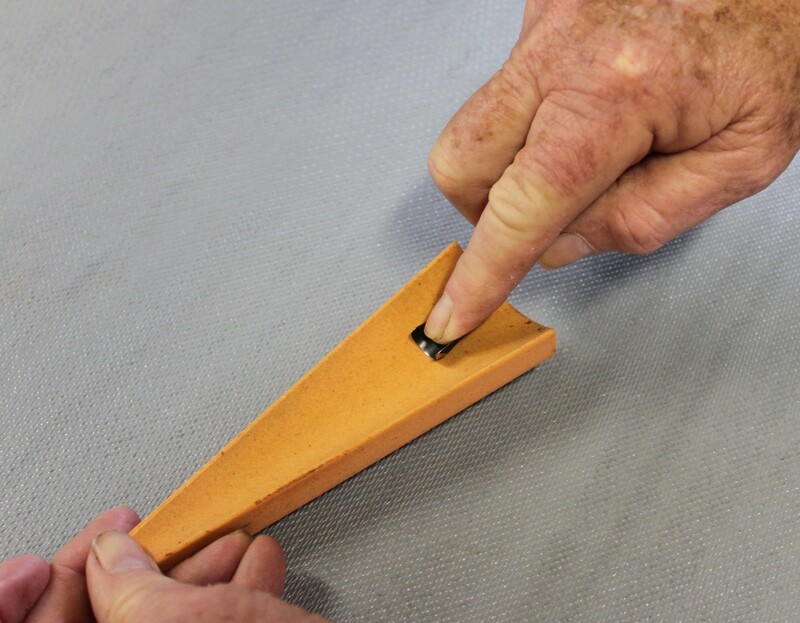 Use a leather shoe string charged with abrasive to polish the inside of small gouges and veiners. 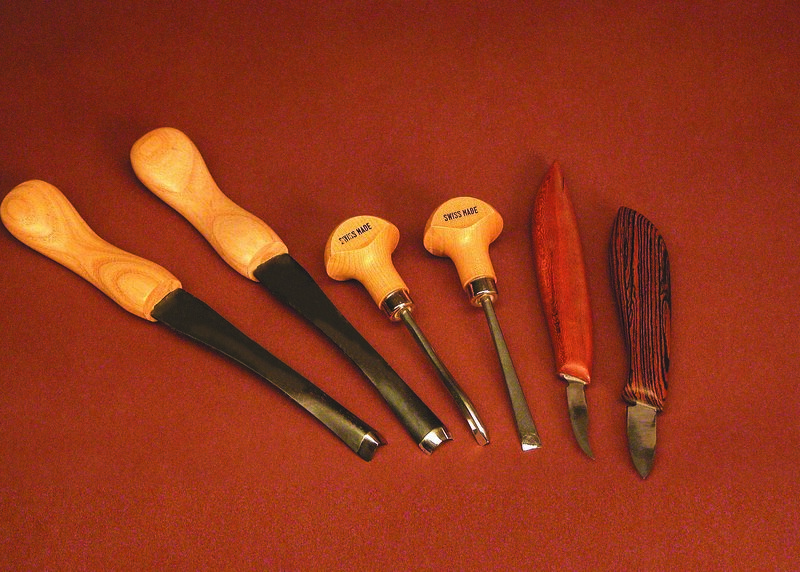 Mac Proffitt co-owns and operates Smoky Mountain Woodcarvers Supply in Townsend, Tenn. Mac has been teaching carving classes and tool sharpening for more than 15 years. He can be reached at mac@woodcarvers.com. For a complete range of sharpening supplies, visit www.woodcarvers.com.